High Speed Rail Canada adds a Bombardier Zefiro playlist to their Youtube Channel. In 2005, Bombardier announced a new series of very high speed trains called "Zefiro". Over the years this brand has included a variety of high speed trains. Here is an example of the Zefiro trains that were developed and are operating. The latest addition to the Zefiro family is the Zefiro Express. In 2018, Bombardier Transportation officially announced the order for Västtrafik. Västtrafik is the agency responsible for public transport services in the county of Västra Götaland, Sweden. The manufacturer calls the new EMUs ‘high-speed electric multiple unit trains’. The contract includes an option for 60 additional trains. The trains can travel at 200km/h. 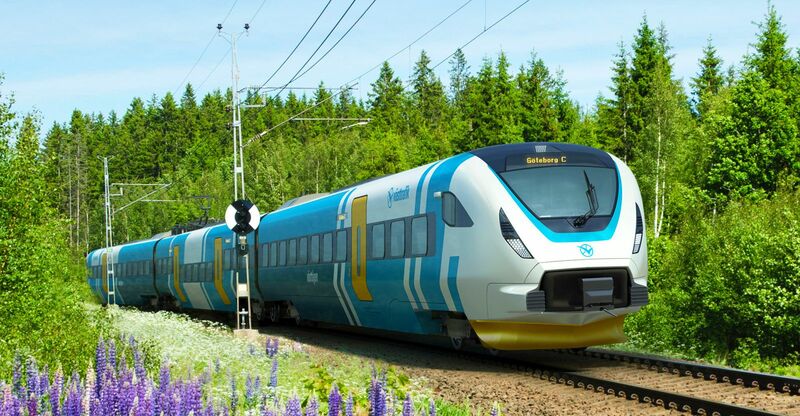 The three-car trains are designed for high capacity, premium passenger comfort, low operational cost, and the ability to operate under the harsh weather conditions prevalent in Nordics. They are expected to be in operation in 2021. To celebrate the Bombardier Zefiro trains, High Speed Rail Canada on their youtube channel as added a playlist of Zefiro products. CLICK here to watch them.